If you enjoy playing at online casinos in the UK, you’ll already know that gameplay is divided between the more traditional desktop casinos and the more modern mobile casino sites. It can be difficult to decide between the two, and which suits you better depends on who you are and how you play. This article aims to tackle a few of the tough questions that will help you decide, as well as covering the pros and cons of each. Does the technology I use impact whether I should use a mobile casino app or my desktop? Technology is one of the main factors that determines whether playing in casino apps or on your desktop is the best option for you. Even if you have an older desktop, it’s extremely likely that it will be able to handle every casino game you want to play, while an older mobile might not be able to keep up and provide you with a slow, frustrating experience. You should also consider your Internet connection, as mobile connections can be notoriously unreliable and may disrupt your gaming experience – however, if you can connect your mobile to WiFi, then your experience will be as smooth as it would be on your desktop. You’ll also want to think about the particular specifications of your mobile before playing on real money casino apps. Is your screen big enough to give you the experience you want, or will you be squinting to see it? Additionally, is your phone’s battery life good enough to last? Mobile games typically drain your battery quickly, and you might want to buy a portable battery pack. This all comes down to how new your technology is and whether you mind the smaller screen and inevitable battery drain. Does desktop or mobile gaming offer the best gaming experience? Again, this is something that depends entirely on your personal preferences – but there are a few factors to take into account. One consideration is that mobile apps are actually less subject to bugs, as they have been rigorously tested and optimised for the platform, whereas desktop casino games can suffer from browser bugs that can be really annoying when you just want to play. They can also be less distracting, as they take up the whole screen, whereas in desktop gaming there may be ads or links to other parts of the site that draw your eye away from the game. However, if you regularly use these links, then mobile gaming may not be for you. In terms of actual gameplay, it mostly depends on whether you like to use touchscreen capabilities while playing. Some enjoy the feeling of being able to flick the screen to spin a roulette wheel, for example, while some feel that using a keyboard and mouse is more precise. Do mobile or desktop casinos offer the best choice of casino games? 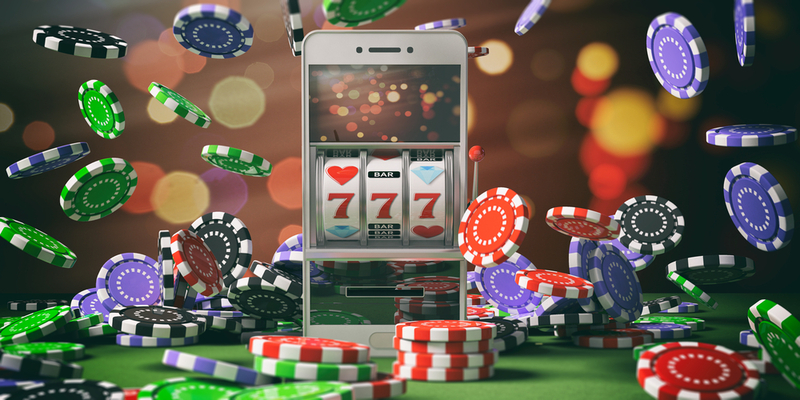 Overall, there are more mobile casino games out there than desktop casino games, and as major casinos try to keep up with the general move towards mobile, the number of mobile games out there is only increasing. There are also now mobile exclusive casinos which have a wide range of games that simply can’t be accessed on your desktop. That said, there are more casinos on a desktop. This is because not all of the established casinos have a mobile presence yet, although you can bet this will be a priority for them in the next few years. However, if you have a favourite online casino and they don’t yet have a mobile app, you may prefer to stick with what you know rather than switch. Do promotions and bonuses differ depending on the platform you use? In a word, yes. Sometimes a promotion is available on one platform and not the other, or is available on both but with different wagering requirements and rules. On some occasions, one version of a game will count towards wagering requirements while the other will not. This varies by each casino and is often related to which platform they’re trying to push users towards. It’s always a good idea to check the terms and conditions before taking part in any promotion or taking advantage of a bonus, so you know what you’re signing up for and avoid any unpleasant surprises. Both mobile and desktop gaming have their pros and cons. Desktop gaming is varied and can handle a range of games easily, while mobile gaming is innovative and ever-expanding, as well as less prone to bugs. Other features, like touchscreen gaming and differing bonuses, is something you’ll have to decide for yourself depending on your gameplay style. Consider both options carefully, and you’re sure to make the best decision for you.